System requirements for running the game on PC. Our Call of Duty Blackout System Requirements page outlines the minimum and recommended specs, so you know for certain how the game will perform on your system. On this page we're keeping things simple. 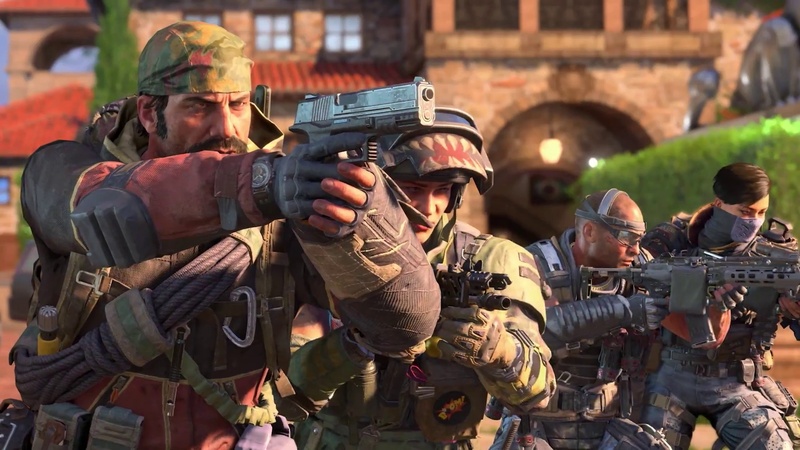 Just below we've outlined the minimum and recommended system requirements for Call of Duty Blackout on PC. Another question that's commonly asked with any game around is, "Will my system run this game?". Well, we'll try our best to answer this question too. Thankfully, Call of Duty Blackout's home to a great deal of graphics options. You can toy around with such a wide variety of things, the likelihood is that you've actually got nothing to worry about. You'll probably have to do some tweaking here and there if your rig is ageing a little, but otherwise the game should cater nicely to those rocking budget systems. It's worth bearing in mind that these system requirements may be subject to change later down the line, especially with the number of patches the game will receive over the course of its lifetime. Having said this, we doubt there will be any major changes. If you find that your PC's in line with the specs, then it's highly unlikely you'll run into any problems later down the line. Here are the official minimum and recommended specs, along with our thoughts on how well they’ll run the game. Judging from both the minimum and recommended specs, most budget machines should be fine running the game. Even the recommended CPU is at least a few years old now, and the graphics cards are by no means top of the range either. Anyone with a recent mid-range or higher PC will be fine running the game at some of the top settings, but those who've only just met these requirements will have to turn a few settings down. Call of Duty's got a great graphics options menu though, so figuring out the right mixture of settings shouldn't pose too much of an obstacle when it comes to achieving a nice balance between buttery smooth FPS and decent eye-candy. If you're after the best competitive settings for optimal FPS, make sure you check out our COD Blackout Best FPS Settings guide!